"Todos Santos, Mexico: #23 on @nytimestravel's list of 52 places to go in 2016. Nearly 50 miles north of Cabo San Lucas, tranquil Todos Santos has long been a surfer's retreat and a day-trip destination for Cabo travelers keen to visit art galleries. But soon, the Pacific Coast locale may tempt visitors to stay longer. This year, the new Tres Santos development plans to open a 32-room beachfront hotel, a farm and a village with shops, restaurants and a farmer's market. A new 3.5-mile hiking and biking path, which will link the beach to town to encourage sustainable commutes. 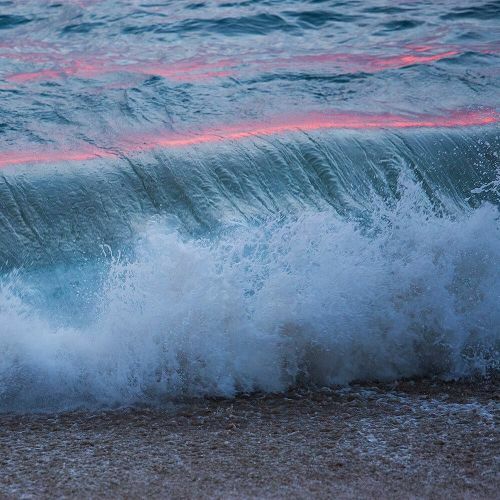 @damonwinter photographed these crashing waves at Las Playitas while on #nytassignment. This #nytweekender, we're sharing photos from @nytimestravel's list of 52 Places to Go in 2016. Visit the link in our profile to see more photos of our editors' dream destinations." By nytimes on Instagram.